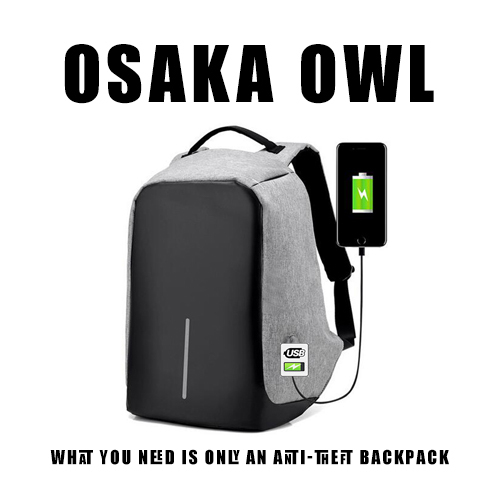 Osaka Owl provides you with some of the most popular laptop backpacks. Here you will find a great collection of laptop backpacks by Osaka owl that are totally functional and stylish in design. They are great bags for work, travel and commute with innovative features and designs. Founded in 2010, Osaka Owl is focused on fulfilling the needs of working professionals on backpacks that are carried to work, during commuting, and on short travel trips. These backpacks are a step up from your average backpack. They will keep you looking professional in every senses. Carry all of your work essentials in an Osaka Owl backpack or bag. They offer a home for everything you need, keeping things organized and safe. These backpacks are functional, secure, convenient, comfortable and attractive with multiple features that professionals need. ​A bag’s aesthetics are inherently a personal choice and depend a lot on your own style. But given how much it can hold, Osaka Owl looks clean, sharp, and well-formed. This backpack will look great even when heavily loaded. It's clean, sleek look is professional. Commute to school or work, or use when traveling. Osaka Owl Professional backpacks have a refined design that looks good no matter how much you put in it or what you wear it with, pockets to fit an entire home office, and ergonomic features to make it comfortable enough to wear for an extended period even when totally full. Pack an abundant amount of items in these backpacks, keeping your stuff organized, safe and clean. You'll appreciate the clean lines and the quality craftsmanship of Osaka Owl backpacks, too. These refined backpacks keep you looking professional while meeting your storage and commuting needs every day. They will fit everything you need without looking bulbous or rumpled, and they'll still be comfortable to wear after a long day, and won’t look like a holdover from your school days. They are also stable, so when you put them on the ground, you know they won’t fall over. This Osaka Owl leather keychain will travel with you in style! You'll love the quality and look of this. Use it along with the backpacks, or anywhere you go! This keychain makes an awesome gift for family and friends, too! Men and women will love it! With such a great selection of backpacks and bags to choose from, you might end up getting several of these sleek, professional bags from Osaka Owl. If you commute for work or school, or you carry a large amount of necessary items with you on a regular basis, you need one of these bags! Carry electronics, school books, personal items, clothing and more in these Osaka Owl backpacks and bags. To learn more about any of the products featured below, simply click on any of the photos.